Beltane is one of the Greater Sabbats (also known as Fire Festivals) of witchcraft observed beginning April 30th and continuing through May 1st, marking the midpoint between the spring equinox and summer solstice in the Celtic witch's wheel of the year. My Beltane Solitary Sabbat focuses this year on the concept of hitkalelut התכללות, integration. [This is a] ritual binding of life and the beauties of life to the Earth plane/the self. [You'll need] some lengths of ribbon to braid during the Magick making portion of your ritual. The idea here is that you (your body) symbolically becomes the shamanistic tree -- that you see yourself as the shaman on the tree (in your body), able to bring forth a variety of things from the Otherworld into manifestation here on Earth. Each ribbon will represent one aspect of your life that you'd like to bind closer to you (while realizing the constraints that doing so might imply). Choose the ribbon colors accordingly. For example, if you want to bring financial security into your life and bind it to you, have a green ribbon on your altar. (Or perhaps you find silver or gold might work better for you here.) If you'd like your life to be constantly surrounded by love, add a pink (or red) ribbon to the array on your altar. If you'd like peace of mind/emotional stability to be a constant in your life, add a light blue ribbon to the mix, etc. I'd recommend each ribbon be as long as you are tall. Symbolically then, each ribbon represents your physical self. Be sure your altar set-up includes a symbol/tool associated with each of the four elements. Now light your candles and incense and create your sacred space in your usual manner. Invoke Whom you feel is appropriate. Ask [the Divine] to join you in your dance of life. Include movement in your invocation if you like. You'll now need to bless each ribbon by the four elements. Take your time in doing this. Pass each one through the incense smoke (Air), over a candle flame (Fire), sprinkle each with water (Water), and pass each through a bowl of sea salt (Earth). Or, think of the smoking censer as representing Air and Fire. Put some sea salt in your water vessel, stir, and think of it as representing Water and Earth. Then just pass each ribbon through the smoke and sprinkle it with the water mixture, thereby blessing each by all four elements. However you decide to do it, take some time to think about just exactly what it is each ribbon represents to you. What it is you'd like to bind to you/bring to the fullness of life within your life? What benefits will accrue to you in so doing? What is the down side in each case, and how will you handle it? End the Magick by blessing the finished braid with your body. After all, your body symbolically lies at the heart of the braid. Breathe on it (Air). Gather it to your heart (Fire). Spit on it or lick it (Water). Coil it up and stand with it under your foot for a few moments (Earth). Now call the blessing of the Goddess into it. Wear your braid now, or carry it on your person for the rest of the day and/or night. [Afterwards, ] keep the braid in some secret and safe place away from the prying eyes and possible ill wishes of others. Or, if you're not worried about that, keep it on your altar for the coming seasons of growth and harvest. The ritual proper began during the planetary hour of the sun, under a waxing gibbous moon 98% full. The yellow votive was additionally inscribed with a 4-shin on top. The brown citrus bergamot votive was additionally inscribed with a 3-shin 4 times around the side circumference of the candle. All candles were additionally dressed over the oil with the incense blend called Delight. The first set of 3 ribbons were braided during the planetary hour of Venus (kaf), the second and third sets of 3 ribbons during the planetary hour of Pluto (da'at elyon and da'at tachton), and the 3 braids were then braided together during the planetary hour of the moon (dalet). The two Hebrew letters which fall out with the ribbon braiding planetary hours are כד, like in kadkode (כדכד). Kad has a gematria of 24; given the sets of 3, 3 X 24 = 72, like the Name of 72. Similar to havdalah, the braided "bonfire" candle was extinguished in a chalice of kosher wine. In my previous entry I wrote regarding waking from a dream journey (to a dark deep peaceful place from which no one returns) with a significant experience of sleep inertia lasting well over an hour. The magnitude of the sleep inertia I experienced suggests that the dream I had was no typical dream of REM sleep. 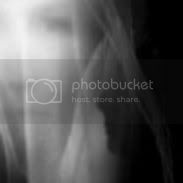 The dream of the dark deep peaceful place from which no one returns was more likely some type of shamanic soul journey occurring during the phase of slow wave sleep characterized by delta waves and typically, no dreaming. One reason no one ever returns from that dark deep peaceful place (as I was told during the soul journey) may be that most people do not "dream" in this place of delta wave sleep. Perhaps more importantly, not only did I delta dream, but I delta dreamt and returned with detail recall of the delta dream. I think this evidences a pivotal shift in consciousness - to be mindfully aware during delta wave brain activity, to dream and to return with memory and recall of what one's awareness may observe there. Wow. Within a portion of the dream, I was out on the deep dark sea located in a very hidden enchanted place, floating on something very flat like a raft. Even though I knew I was deep out at sea, mystical things were present like might be found in a cave graveyard of sunken treasure ships. I was alone, yet not alone. The presence with me spoke in my mind, telling me that I was in a place from which no one who had ever come here had ever returned. No one had ever returned from this place. But, I wasn't afraid. I knew I was going to return. I was made to return. It was beyond the realm of the possible that I would be like just another sunken treasure ship. I would eventually move on from here. I was completely fearless. The place was darkly enchanting, even peaceful. I wasn't afraid of the dark creatures who haunted the smooth still waters beneath the surface upon which I floated. Renewed by the mystic peacefulness like an embrace which shuts out sensory overstimulation (an autistic would understand), I had to move on. There were still things to do. The dream moved on to another place, back to civilization, and to another scene in another story. I woke up. With a deep case of sleep inertia. Nevertheless, I woke up and physically returned to normal awareness within an hour or so. Computer "blackout" yesterday emanating from Istanbul hacker. BOGOTA, Colombia (AP) -- Colombia's electrical grid collapsed Thursday, causing a nationwide blackout that briefly halted stock trading, trapped people in elevators and left authorities struggling to determine the cause. President Alvaro Uribe told journalists in the southern city of Cali that the blackout, which began at midmorning, "appears to have affected the entire country." ISTANBUL, Turkey — An apartment building collapsed on a crowded street in Istanbul Thursday, and rescuers pulled one person from the rubble, authorities said. Six hours later, rescue workers were trying to make sure that no one else was trapped beneath the debris. Anatolia identified the injured man as 33-year-old Ozkan Aysan, and said his legs had been trapped under a collapsed concrete column. Aysan reportedly entered the building to pick up his computer from his fifth-floor apartment, Anatolia said. Traveling on Indiana highway today for a job interview. (CNN) -- Eight people were killed Thursday in a chain-reaction crash on the Indiana Toll Road about 30 miles east of South Bend, state police said. First Sgt. Brian Olehy said the accident occurred near Bristol, Indiana, around 6:45 a.m. when a tractor-trailer ran into the back of a passenger car in traffic that had slowed due to an earlier road incident. That sparked an "accordion-style" crash involving four passenger vehicles and three tractor-trailers, Olehy said. Apparently the JIBs have been hacked by an organization emanating its influence out of Istanbul, Turkey. The JIB (Jewish and Israeli Blog award) site is no longer online and has been wiped out. While Walking On Fire is currently online, this afternoon when I booted up and came online to blog, I discovered that Walking On Fire had been hacked. My site was covered over completely by black, a large black jpg perhaps. I saw that my blog existed "behind" the black graphic covering it. With dial-up, things move slow, and it took a bit of time for the black graphic to cover it over. So, I saw that my site wasn't gone, but that it was being covered up by a black graphic or some similar script. Nothing I could do removed it from my site (or browser - I don't understand technically how these things work, and other pages I tried to bring up similarly "blacked out"). I literally cried at the thought of being totally cut off from the world outside this little place where I live and not being able to blog. After I rebooted, it was gone and my site (and my computer generally) was okay. So, I'm not sure what happened and who is hacking my site (or computer). Unlike the JIBs, I don't have the resources to track down the identities of those responsible for cybercrime directed at Walking On Fire. UPDATE: Blogger Barbara's Tchatzkahs also reports that the same thing happened to her site that happened to mine with the "black square". Her site was struck even worse than mine, with large chunks of her template deleted. She is also a JIB nominee. UPDATE: The JIB site has been fixed and is again operational. Voting has resumed. ...unfortunately, the story has been swept up by politics when it is not clear that it was directly related to politics ... There seems to be good second-hand evidence that the VA's decision [to stall approval of the pentacle for over nine years despite the approvals of at least 6 other religious symbols within that same time] was indeed influenced by statements made by President Bush. But the terms of the settlement with the VA kept those documents from coming out. Call me a skeptic (because I am about most things), but as a reporter I would not be satisfied with that (as) an answer. As a layperson, I am not satified that evidence for an active policy of bias and discrimination has been covered up either. "It's not the kind of influence we want in our community." Clearly, not only does the community not want witches in its community, it also feels clearly no shame in telling us that. None of this is new to me as a resident of this rural area who has also been actively discriminated against for over a decade. As a poor Jewish woman on the fringes of the community without community support, I was allowed to work every Sunday taking care of the area's poor elderly at the county nursing facility. This is the only job I was able to get despite having 7 years of college education (with both a professional nursing license and a science degree from the University of Illinois) and award-winning research work in my employment history (testifying to my intellectual abilities and critical thinking skills). Two weeks after I publically "came out" as a Jewitch and wore a small pentacle necklace to work in support of community witches, since I am a Jewitch after all, like the Christian nurses wore their crosses and crucifixes, I was no longer allowed to do even this and was fired from my job. The shameless discriminatory practices of this area are scary. What is even scarier is that there is absolutely no significant opposition to the discriminatory practices endemic to this area. Not even from local Jews - except for the pentacle I wore and the marginalized words I write as a Jewitch - there is no other local Jewish voice protesting this that I can hear. I've been listening for over a decade too. I shudder at the silence. HOOPESTON – Some in the Hoopeston area are glad to see the Witch School leave town, while some don't have a strong opinion either way. According to Ed Hubbard, who helped bring the Witch School to Hoopeston about four years ago, he has sold the school to new owners, and they will be headquartering the mostly online entity elsewhere. The school, which specializes in peer-to-peer training in Wicca and magick, according to Hubbard, generated controversy when it first chose Hoopeston as its new home in 2003. Some of the strongest opponents were local churches. "To me, it's an answer to the prayers given," said Kendra Smiley, an author and speaker, who is a member of the East Lynn United Methodist Church, which had led some gatherings to specifically pray about the witch school. "It's not the kind of influence we want in our community." The First Baptist Church at 323 E. Seminary St. in Hoopeston also came out against the witch school from the beginning. Pastor Steven Nelson said the church's stand has not changed, and if the school truly is leaving Hoopeston, the church is pleased. The school's leaving, but Hubbard wants to stay in Hoopeston. He has already launched a new business, Illiana Web, which provides wireless Internet access to rural areas, in a different downtown Hoopeston building. He's invested about $20,000 in the venture, but he said he's not sure the community realizes that this business has nothing to do with his Wiccan beliefs or the Witch School. Hubbard said he thinks Hoopeston, with its industrial base, affordable business climate and rural location, is great place for his wireless business to grow, spreading affordable wireless Internet service to other rural areas in East Central Illinois. "There's a desperate need for it," said Hubbard, who added that Illiana Web employs a Lutheran and a Baptist and has a Jewish investor, too. Thought experiment: Now, within the text of the article, substitute "yeshivah" for every mention of "witch school". After a nine year struggle, a victory for justice and witches of all kinds. Hat-tip to Witchvox for article. 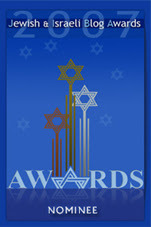 Someone has apparently nominated Walking On Fire for Best Jewish Anti-Establishment Blog at the JIBs (Jewish and Israeli Blog awards). Folks, I am not anti-establishment. I am pro-actualization of the individual, which may sometimes (ok, alot of times) not sit well with the establishment. Nevertheless, I am not anti-establishment except in those instances where the establishment crosses a line it ought not cross. BTW, I stole the title for this post from one of my blog friends whose screen name is "Outsyde Da Box". I hope he forgives me. The combined gematria of these four words is 733, with a digit sum of 13. There is only one word in the entire Torah with a gematria of 733 . The word is בארצתם meaning "in their lands." It is found in Bereshit 10:5. Exactly here were the nations of the world divided. Exactly here are the nations reunited in their lands, with the digit sum 13, which is the gematria of echad (אחד), meaning one (unity). The four words together have 17 letters. It is kol tov. Parashat Kedoshim (Vayikra 19:36) instructs us to have correct scales (balances), correct weights, correct dry measures (ephah) and correct liquid measures (hin). Let's focus a bit closer on the the four words describing those things which must be "correct". Scales. The Hebrew word translated as scales is מאזני from the shoresh אזן meaning to "ponder", "absorb and weigh impressions", "weighing focused ideas", "ear", "inclining the ear to hear" and "balanced instrument". We are to have proper focus. Weights. The Hebrew word translated as weights is אבני from the shoresh אבן meaning "create by using a special tool", "stone", "weight", "scale", "threshold of the womb" and "potter's disc that forms a utensil". We are to have a special creation tool formed at the threshold of the womb. For example, one who remembers coming into existence at the threshold of the womb qualifies as this kind of special creation tool. Dry measures. The Hebrew word translated as dry measures is איפת from the sha'ar אף and the primary shoresh אפן meaning to "create purposefully", "circular stone wheel" and "purpose". We must be aligned with our purpose for creation; reishit. Liquid measures. The Hebrew word translated as liquid measures is והין from the primary shoresh הון meaning "acquire sufficient means", "enough" and "sufficient". A human being having been focused as a special tool of creation into being formed at the threshold of the womb with purpose is sufficient to do it. To do what? To completely fulfill his or her purpose for being. In my previous entry I discussed the word muvhak (מובהק) in association with "clear", "clean" and "outstanding" light. The particular type of light described by the word muvhak was revealed in that discussion as a high level light due to its connection with the suprarational chukim/chukot. At the beginning of Creation, the appearance of light is termed "good" in God's eyes: "And God saw the light was good." Our Sages interpret this to mean "good to be hidden for the tzadikim in the Time to Come." The Ba'al Shem Tov teaches that the "Time to Come" refers also to every generation. Kabbalistically, the Time To Come is a code which refers to the partzuf Imma Ila'ah of Binah. Thus, the light called muvhak is exactly that primordial light hidden away for the righteous at the beginning of creation brought down from Imma Ila'ah into revelation through Yesod (where Yesod corresponds to the letter tet). Today I came across a word used to describe light that I've never seen before - muvhak - which is translated in the sources as both "outstanding" and "scintillating". I've found the likely Hebrew spelling (מובהק) for the word. Considering the letters, the apparent shoresh seems to be בהק which means "clear", yet at the same time implies a "clean" skin disease (called a tetter) with clear patches (Vayikra 13:39). I am perplexed. The central letters ובה of the word מובהק can all be legitimately combined into the letter chet (ח), where chet is composed of the letters zayin (beit + hei) and vav joined by a chatoteret. This combination forms the word מחק m'chok meaning "of chok". The shoresh of חק is חקק, which is also the shoresh the word chukot. In a roundabout way, it seems that the "outstanding" light may in some be way connected to having once been afflicted with tzara'at followed by becoming clear of it by way of implementing observance of non-Canaanite chukot/chukim (see previous post) to neutralize destructive fury. Interestingly, a gradational variant of the shoresh חקק is the similarly spelled shoresh חקק meaning to "set circles". A gradational variant is a "new" root where the meaning "resembles the original root but usually signifies a shift in intensity or focus" . Here is a suprarational חק connection to the concept of "masovevet" (in the designation "hamasovevet"). We are taught in parashat Achrei Mot not to follow the "social customs" of the Canaanites. Examining this command in Vayikra 18:3 more closely, the Torah phrase used, practically translated as (not to follow) "in their social customs" (or statutes), is the Hebrew word ובחקתיהם from the shoresh חקק meaning "circumscribe to protect a basic value" . Significantly, the word ובחקתיהם contains the feminine construct chukot as opposed to the masculine construct chukim. So, what are the chukot of the Canaanites? First, the Canaanites are descendents of Noah's son Ham (חם). Ham's name is derived from the shoresh חמה from which the word chemah is derived. Chemah pertains to hidden destructive anger and is the name of one of the angels Moshe had to battle. The other angel was named Af (revealed destructive anger). Both of these angels refer to the emotive quality of destructive fury, one hidden and one actively revealed. The connection of forbidden Canaanite practices to destructive fury is further supported by the fact that the eponym Ham means "hot" in Hebrew and Canaanite. These points taken together suggest that the Canaanite practices forbidden by Torah in Achrei Mot are those which support and feed unconfronted uncontrolled destructive anger. Second, the feminine construct חקת is employed over the masculine construct חקם. Chukot refer to a situation where Adonai (Malchut) is the principle essence with El Chai (Yesod) included in it. Chukim refer to a situation where El Chai (Yesod) is the principle essence with Adonai (Malchut) included in it . Consequently, with the choice of words, Torah is distinguishing between feeling angry emotions (principally Yesodic) and acting with anger to destroy (principally Malchutic), recognizing that feeling anger is an unavoidable part of the human condition. Where we must distinguish ourselves from the Canaanites is in how we confront and express the anger we feel. Tying it all together, we can see that the chukot of the Canaanites which are forbidden to us are actions of destruction born of uncontrolled seething anger and rage. We are not allowed to seethe. We are not allowed to deny our anger or to cover it up with "nice" social customs. We are commanded to wisely confront  and deal with our anger, which will limit the impact hidden rage may have on our own wellbeing and the wellbeing of others. In this way we protect fundamental values - the sanctity of human life and understanding between human beings. In a dangerously physically abusive situation, wise confrontation most likely will not include the abuser inclined toward violent action. Two miners were trapped under 45 to 100 feet of rock and dirt near Barton, Md., on Tuesday after a side of an open pit coal mine collapsed, and rescue efforts continued yesterday with workers filling 20 to 30 trucks an hour. Federal mine safety officials said the two men, whom they would not identify, were driving a bulldozer and a shovel in the No. 3 mine of Tri-Star Mining Inc. about 10:15 a.m. when a 125-foot-high side of the mine collapsed. Apparently, the mine collapsed on Tuesday and the miners were still buried at the time of reporting on Friday. Not only is this incident a social justice issue dealing with unsafe working conditions, it also indirectly relates to my seventh tarot reading on Wednesday. The tarot reading brought down the word רק which I interpreted as "surely" (Bereshit 6:5), as in the surely the sleepers (unenlightened souls) will awaken to see the sun (light of truth). This interpretation is and was supported by the tarot spread, particularly given the cards in the P8 and P9 positions. However, רק can also mean "empty" or "vain" as found in Bereshit 37:24 - "and they took him (Yosef), and cast him into the pit--and the pit was empty, there was no water in it." Shabbat candles were prepared this afternoon during the planetary hour of Pluto (Da'at) with the waxing crescent moon 16% (הוה) full . This afternoon's sefirotic correspondence is Gevurah of Gevurah, using the Gra array . An 8 inch red candle was inscribed in Hebrew with the words והיה אור (let there be light, 3), אמן (amen) and dressed inwardly with both lavender oil and the Gevurah-Da'at-Chesed blend described in a previous entry. A 4 inch black candle was dressed inwardly with Feminine Clarity from the ruby crystal vessel, also as described previously. To further bring clarity to the surface of consciousness, an earthy brown citrus bergamot votive will also be burned in tandem with the red and black shabbat candles this evening, as will cinnamon-vanilla-ginger  incense. הוה is found in Bereshit 27:29 in Yitzchak's blessing to Yaakov. Tiferet of tiferet, using the standard Ari array. Using the form of "be" implying joy, "the word והיה is used to convey gladness" (The Wisdom In The Hebrew Alphabet, R' Michael Munk; Megillah 10b; Pesikta Zuta 6:10). cinnamon, kinamon [קנמון]; vanilla, [וניל]; ginger, zangvil [זנגביל, זנגוויל]. Politics aside, I admire a woman like this. 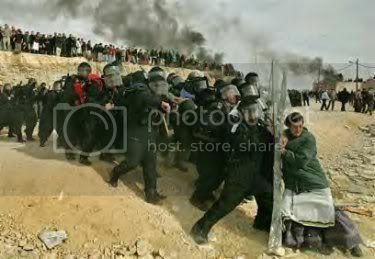 Pulitzer prize-winning photo by Oded Balilty is of an Israeli woman in Amona who is "resisting dozens of police who have come to evacuate her." Nili, the young woman in the photo. Seventh tarot reading on myself using my standard procedure and spread. Using the Gra sefirotic array, P8 and P9 correspond to hod and yesod, respectively. The word רק is found in Bereshit 6:5, where the Divine came down and saw "surely" or "only". The Divine Seeing which comes down from Kadmon through the major arcana observes from the perspective of hod. The judgment for me from hod flows into yesod in the P9 position. That judgment is described by the Sun tarot card and the letter kuf. Sun: triumph, success, security, growth, well-being, nourishment, rejuvenation, bounty after trials, blossoming energy and rebirth. Kuf: kedushah, "expropriation of transcendent Divine lifeforce by the material realm" (Inner Dimension), laughter. Outcome of the matter: overcoming disadvantaged beginning to reach satisfaction and quality of life, influential contribution to the arts/sciences/life. HOOPESTON — The Hoopeston City Council heard the final chapter of the Witch School Monday night at its meeting. Hubbard helped open the school that serves as a center to educate about the Wiccan religion, Paganism and magical thought in September 2003. He said he felt the community and city government did not wish to see him prosper and questioned the city council directly about whether they wanted to see him stay. Mayor Bill DeWitt, Alderman Bill Goodwine and Economic Director Shannon Ruh all assured Hubbard they were glad to see any company set up business in Hoopeston. City attorney Paul Manion said any business has a right to set up anywhere they want. He said he had run a business for more than 40 years and never cared whether people liked him or not. Hubbard left the meeting indicating he did not plan to keep his business in Hoopeston. Mayor DeWitt closed the discussion after Hubbard left by saying that if he had to beg the city government for approval to stay in town, he would have left town sooner. Hat-tip to Witchvox for article link. Bigotry, discrimination and religious intolerance are alive and well in east central Illinois. Of course, I already knew that. It's caused a stir since it first moved into town, now the Witch School in Downtown Hoopeston is saying goodbye. Owners of the school said they have felt "discriminated against" since the school first opened in 2003 and that led to the decision to leave. Ed Hubbard said when he opened the Witch School more than three years ago he thought it would be great for the city of Hoopeston. "When we opened our doors we got nationwide attention," Hubbard said. "We brought in 400 visitors." He said bringing in tourists and money was never a problem. It was the way they and their visitors were received that led to their final decision to leave. "They get flak personally. I actually had an employee quit on me several times here because their family members said you shouldn't work for the witches," Hubbard added. There are a number of people in town who want to see the school gone. But several people we talked with said they have every right to set up shop in their town. "I think they have every right to be here, as much as anyone else," said postal worker, Rita Carter. "They have been wonderful for the community. They've had some good ideas and some good economic ideas." Hubbard says they have had several offers from other cities to move the business there and as they close up for good here in Hoopeston he hopes something is learned. "I'm very sorry this happened this way. I hope other businesses find it friendlier coming in here and I hope maybe this will open the eyes of city council members." The Witch School will still operate over the internet. Hubbard said that part of the business is continuing to grow. Hat-tip to Witchvox for link to article with comments and discussion included. Tonight, Wednesday evening, April 18, we count sixteen days, which is two weeks and two days of the Omer. The herbal blend is being prepared today, under the influence of Tiferet-Da'at of Gevurah, during the planetary hour of Pluto (Da'at, the inner essence of Tiferet). The beeswax candle will be lit tonight, also during the planetary hour of Pluto. UPDATE: The blend Gevurah-Da'at-Chesed and the candle have both been prepared as described, with the waxing crescent moon 3% full.